Show off your unique taste in jewellery with a sparkling Bianca line name necklace that will be sure to give you that stunning look that you crave for. 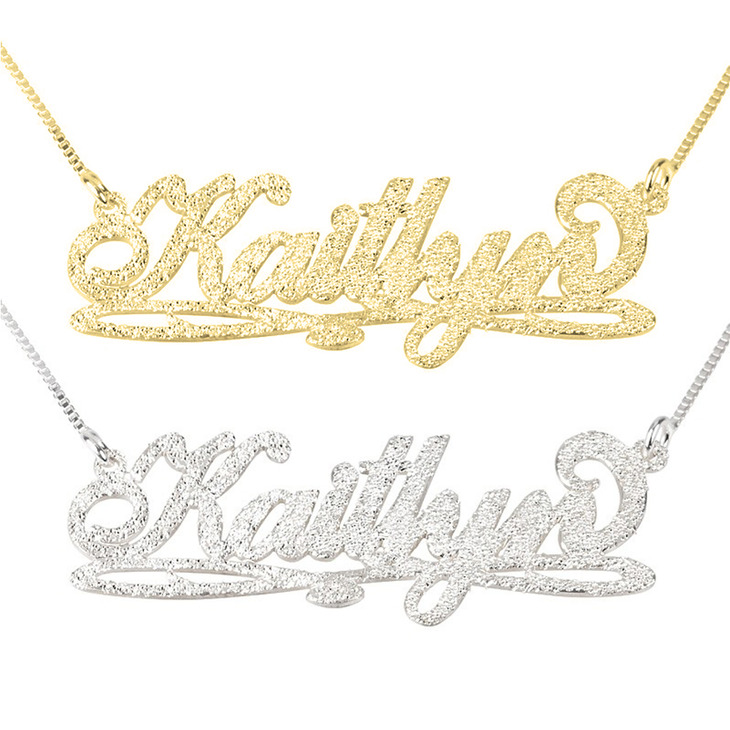 The most outstanding feature of this marvelous necklace is the stylish design of the personalised name. The name is engraved in a hip scrip with some dramatic accents at the bottom. The excellently crafted font also creates a striking and alluring appeal that will add a stylish flavor to any outfit. It is made from solid silver and a brushed texture, this pendant is a great piece that will become a fantastic addition to your collection. I purshased a necklace for my daughter, she love it, and all her friends too. Great service!